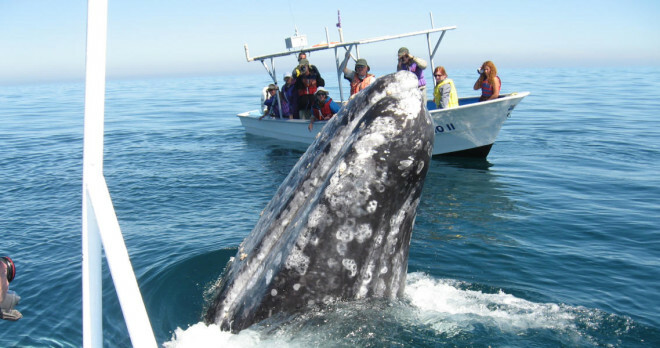 Tour Dates: 8 days, departures every Saturday Apr – Oct. Groups of 4 or more can begin on any day. 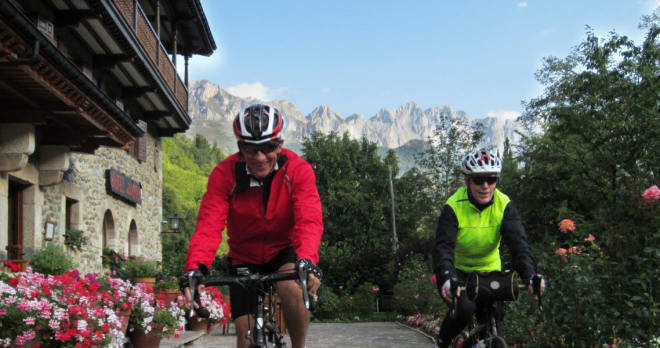 Ride from the clean, unspoiled beaches on the Atlantic coast of Northern Spain to the very heart of the Picos de Europa for exceptional mountain scenery. This is a trip through what is probably some of the most spectacular and beautiful scenery to be found anywhere in Europe. Lush green valleys contrast with jagged limestone peaks. 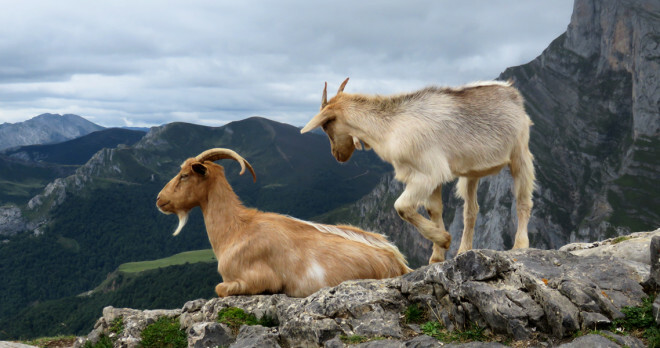 The Picos de Europa rise to over 2648 meters (almost 9000 feet) providing gorgeous Alpine scenery just a short distance from the sea. 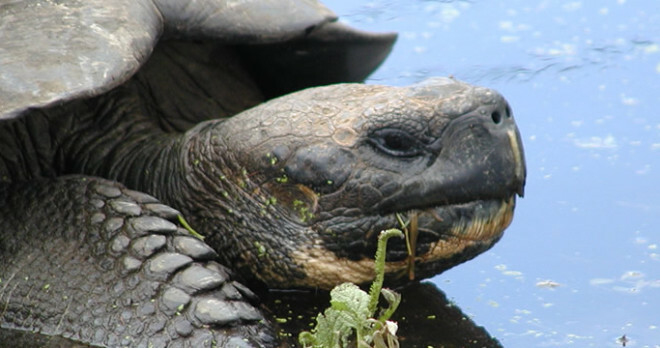 The area is so wild that it is still home to many rare animal species, including the wolf and the brown bear. Our route follows the perimeter of the three massifs and also gives us a chance to penetrate to the very heart of these unique mountains. This tour is rated as moderately challenging. Daily distances average around 60 km and longer loops can easily be arranged. Pick up from arrival point and transfer to the charming medieval village of Santillana del Mar. Introduction to bikes and route briefing. Spend the rest of the day walking round the cobbled streets of this beautiful village, visit the modern museum of the Altamira Caves or enjoy a ride around the country lanes and down to the coastline. Leaving Santillana our route heads westwards through green meadows and the hills and valleys of Cantabria with its marvellous unspoilt coastline and beaches nearby. We soon arrive at the charming village of Novales set amidst lemon groves and with its fine typical rural architecture. Next stop is the seaside village of Comillas. Here a visit to the fine beach, the small harbour and the pretty village square with its pavement tapas bars and restaurants is a must, not to mention the architectural sights of El Capricho by the famous Catalan architect Gaudí and the Palace of the Marqués de Comillas. 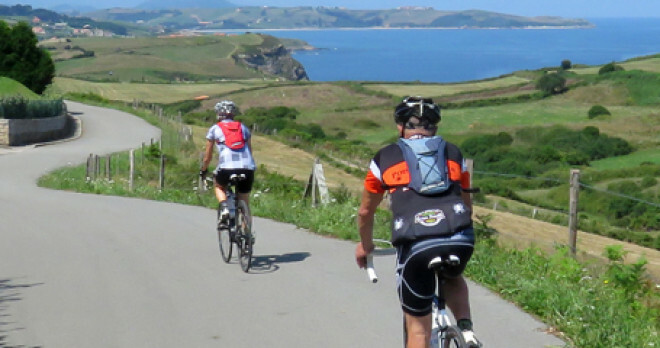 After leaving Comillas, cycle through the Parque Natural de Oyambre and along the seashore with the beautiful beaches of Oyambre and Merón. On the last stretch we are greeted by the stunning view of San Vicente and the Picos de Europa in the distance. Spend time getting to know this pretty fishing village with its many seafood restaurants and magnificent setting. Take a ride on one of the free day routes, or visit the lovely mountain village of Carmona. Alternatively, enjoy a ride through the unspoilt hill country behind the village, or you may just prefer to spend a lazy afternoon on the beach. Leaving San Vicente the route heads westwards along the coast. 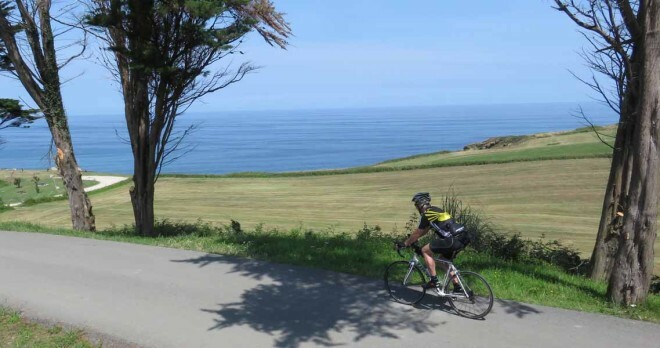 After a short distance, cycle around the beautiful headland of Pechón with its magnificent views of the coastline. Crossing the River Deva in Unquera we enter the province of Asturias with its markedly different flavour. The village of Colombres is home to the sumptuous villas of the indianos, emigrants to the Americas who made their fortune and returned to a life of luxury. After Colombres we return to the River Deva and head upstream along the beautiful valley to the village of Panes, gateway to the Picos de Europa. After Panes continue along the Deva. Suddenly the sides of the valley close in and the route runs through the incredible rocky gorge of La Hermida. Mountains tower around us as we cycle through the gorge towards Potes and the valley of La Liébana, completely encircled by mountains. 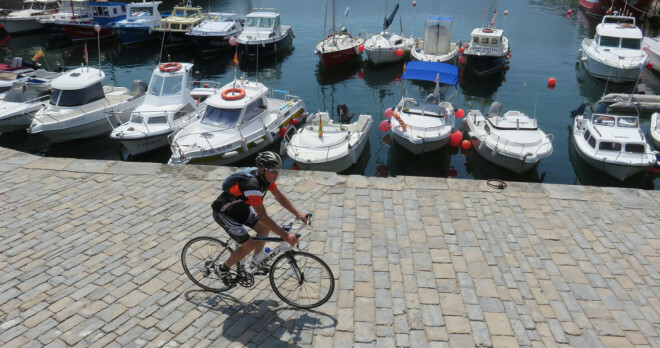 Cycle along any of the three valleys that meet in Potes. Take a trip on the cable car at Fuente Dé to enjoy breathtaking views of the Cantabrian Mountains. 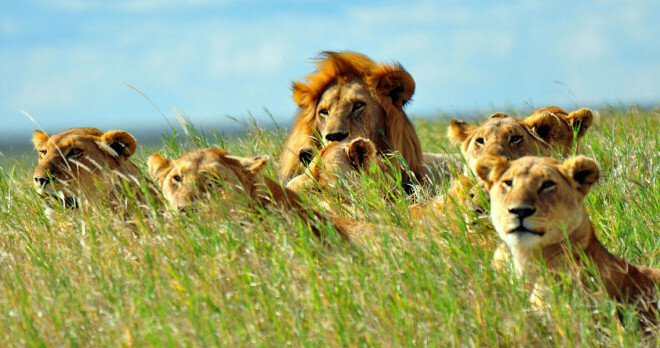 Enjoy a walk through the lush green valleys or the higher mountains. Spend time in the bustling market village of Potes with its peculiar mix of local farmers, tourists and mountaineers. Or visit the many other picturesque villages dotted around the area. 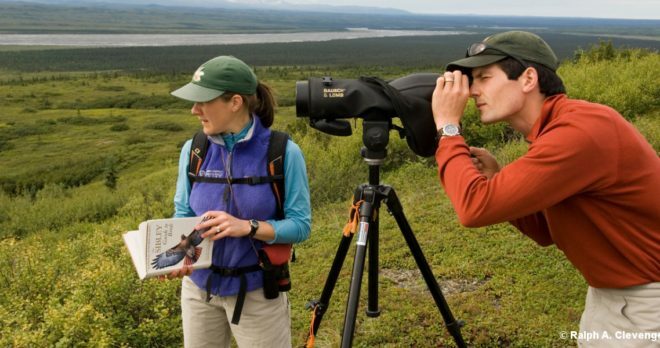 Explore the remoter valleys where the brown bear and wolves still roam. Cycle up to the Monastery of Santo Toribio, home to the largest surviving fragment of the True Cross or to the charming country monastery of Piasca. 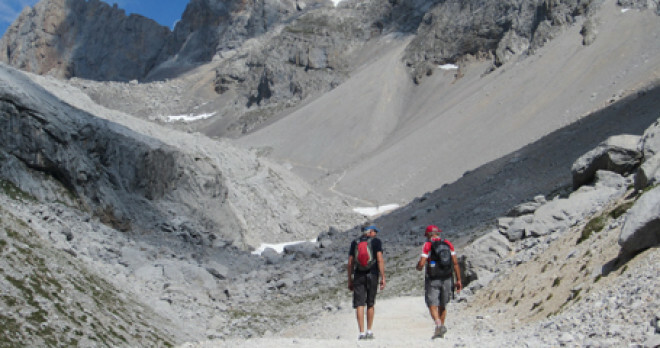 Take a jeep excursion across the Picos to walk the Cares Gorge. 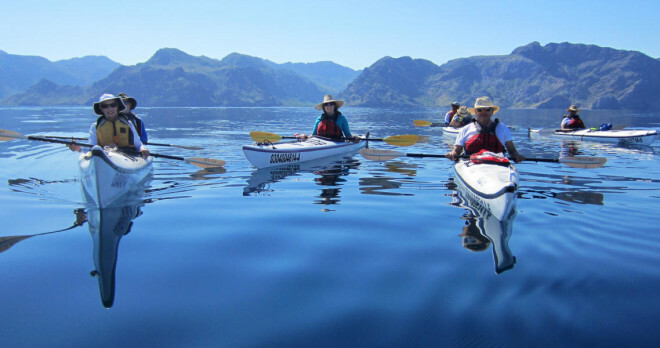 There’s no shortage of things to do in this magnificent setting. 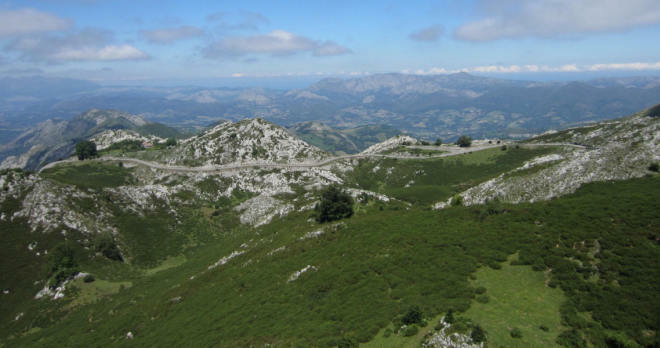 Today we transfer to the Cantabrian Mountains, and begin our descent of the Miera Valley to our final stop in Somo. Pick up after breakfast and drive to the starting point at 822 metres / 2697 feet above sea level. 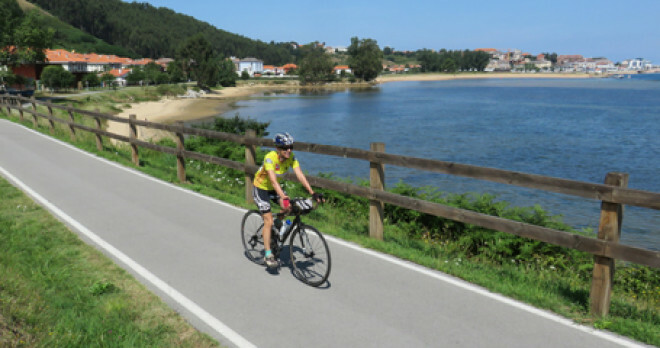 From here, a marvellous ride through the stunning limestone valley of the River Miera takes us down to the farmland around Somo and the Bay of Santander. 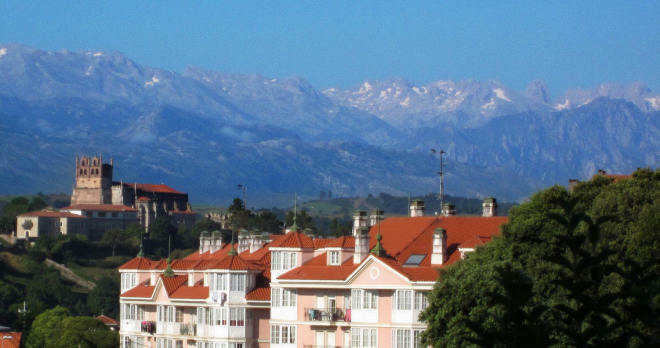 Visit the mountain village of San Roque de Riomiera and the spa village of Liérganes with its charming old quarter. Enjoy the marvellous beach with its miles of golden sand. Take a short boat ride across the Bay to visit the lively and elegant city of Santander, capital of the province of Cantabria. Enjoy the belle époque atmosphere of El Sardinero, the beach resort of the city, where Alfonso XIII and his court spent the summer months in the early 20th century. Stroll around the town centre for some last minute shopping. 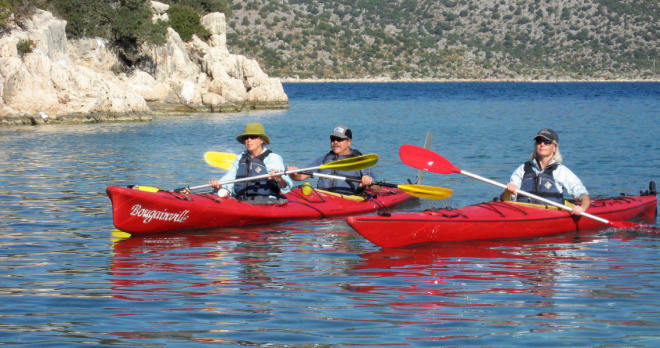 Take one of the free day routes to visit the beautiful beaches of Loredo, Langre or Galizano. Ride through the green country lanes, where a surprise awaits you round every corner, to the village of Ajo, famous for its paellas. 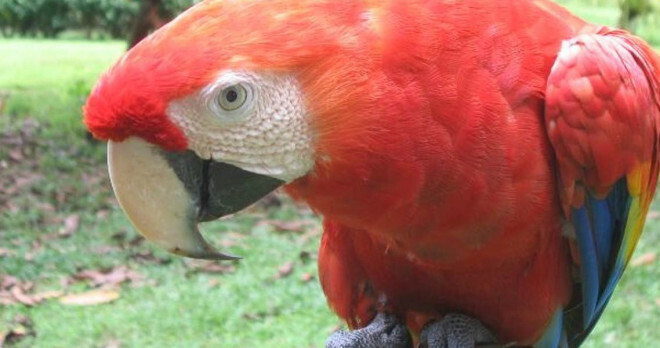 Visit the Nature Park of Cabárceno with wild animals from all over the world, and bizarre scenery resulting from its one time use as a Roman mine. Eat freshly grilled sardines in the seaside restaurants of Pedreña, birthplace and home of the famous golfer, Severiano Ballesteros.